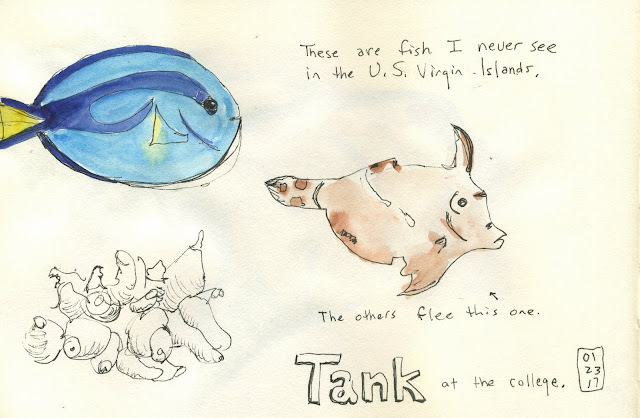 Before I left on a trip to the U.S. Virgin Islands this past winter, I visited a salt water fish tank in a building near where I work and watched the fish. Drawing fish in motion is hard. The only thing that makes it even sort of possible for me is the fact that most fish tend to repetitive movements. They swim in a pattern. So if you wait long enough, they'll return--even if it's just for a second--to the same position and you can nab the next detail for your drawing. 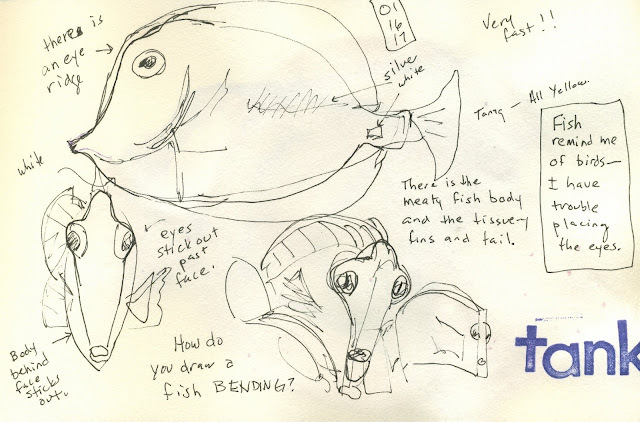 You'll see that in both of these pages below, I was studying the fish. How they are put together, proportions, color patterns. It made me very excited about my upcoming snorkeling trip!